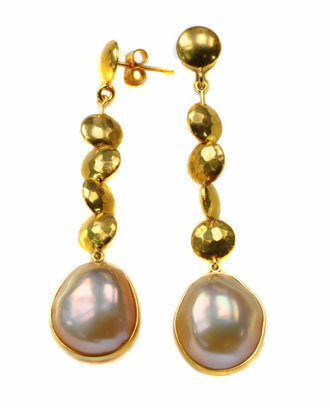 These 18kt yellow gold earrings are hand made with exquisite details. The Ikecho Pearls (16mm each) hang from four circular links which have a hammered finish. 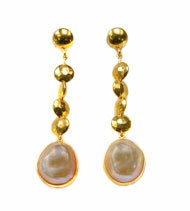 These earrings will astonish your friends and family. 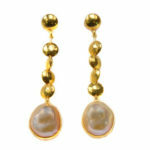 A wonderful pair to add to your jewelry box. A custom design by Jorge Adeler.